Size & storage: Does it fit all you need to carry; is there room to grow? First, let’s look at why drone cases are so important and the reasons to own one. Value, adjustable shoulder strap, carrying handle, fits Mavic Air & accessories. Comfortable shoulder bag design, lightweight, front pocket, rear zipped pocket. Lightweight, stainless steel parts. retractable handle, auto pressure equalization. 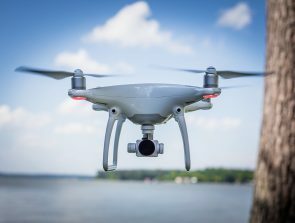 Drones are changing the way we take photos and video to document our lives and life events. They are sophisticated yet simple to operate. Now anyone can shoot like a pro. But flying cameras—just like their handheld counterparts—can be costly and need looking after. Proper support and protection are primary considerations, but people want style too. There are all kinds of bags to meet different lifestyles. We can choose from backpacks, shoulder bags, sling packs, hard cases, soft cases, roller luggage, and others. You may need to compromise in certain areas. For example, style, comfort, protection, and practicality, based on personal needs. Some Mavic Air deals come with a custom carry case. The Fly More Combo deals include a Mavic Air Travel Bag that’s quite decent. The problem some pilots have with the stock bag is that it only has room for the drone and little else. The good news is that there are plenty of other options. There are tailor-made cases designed only for DJI’s Mavic Air. There are also more general, universal bags that work. Some third-party bags fit the quad and its accessories like a well-tailored garment. Only you can know what you need and expect for your Mavic Air case. This review page can help you to make a better-informed decision. The reviews are short, easy-to-read, and tell you all you need to know and nothing you don’t. The 8 quad cases here cater to all budgets and pilots demands. I handpicked these items based on personal thoughts, the opinions of experts, and real user reviews. The table below shows the cases as they appear on the page. The first three are Best Budget, Best Value, and the Top pick, in that order. These cases under those are by price order, lowest to high. The Fstop Labs Carry Case is a purpose-made product for the DJI Mavic Air. This Best Budget pick has a custom molded foam interior to house the quad and its related accessories. You won’t find many complaints with this product considering its affordable price tag. It’s a soft-shell design with a waterproof coating. The case is comfortable to hold or wear using the adjustable shoulder strap. Its mini size makes it easy to fit inside bigger bags like a suitcase or backpack. There’s also a larger version if you need more space for a laptop and other things. The interior compartments have custom cut-outs to house the Mavic Air and accessories. 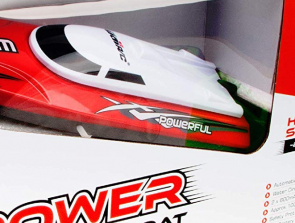 They include 3 flight batteries, remote control (RC), charger, and cables. Both the big size and mini version here have soft shells. The molded interior does a reasonable job at protecting the contents. As a low-cost product, though, it’s not as protective as some soft-shell or hard-shell alternatives. And, the molded interior cut-outs are specifically for the Mavic Air and accessories. That means the bag is not suitable for multipurpose use. The Best Value pick goes to the DJI brand Mavic Air Travel bag. It has a soft fabric and a casual feel to it. It also offers excellent compact protection—for a fabric case. Descriptions for this bag are vague because there’s not much to say. In other words, what you see is what you get. The bag has a simplistic design that consists of a middle storage area and two outer sleeve pockets. The rear sleeve is ideal for carrying a smartphone or tablet. And the central storage compartment can accommodate an entire Mavic Air kit. The kit includes the quad, remote controller (RC), 3 batteries, charger, and charging hub. There aren’t any custom foam compartments. That means you must store everything in a precise fashion. The easiest packing order is the controller, batteries, cables, power supply, charger, and the drone on top. The bag has limited space and only houses what’s on the list. You can get a few smaller items into the side pocket but no more. It’s also quite expensive compared to similar third-party alternatives. It’s a genuine DJI product, though, and that guarantees a certain quality. 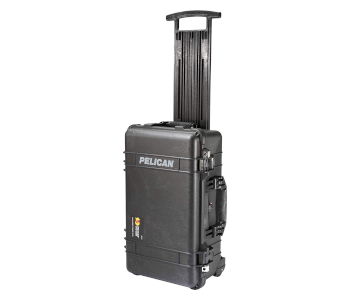 The top pick goes to the Pelican 1510 hard carry case. 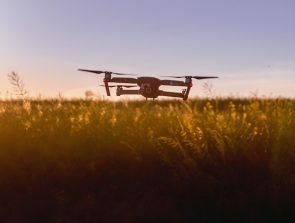 It’s not only for the DJI Mavic Air, so that gives it multipurpose uses if you need them. 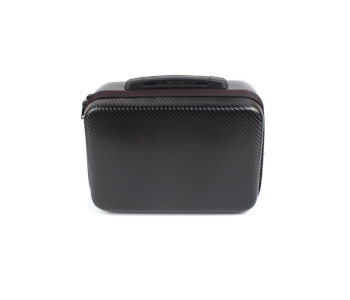 This carry case is perfect if you want the ultimate protection and don’t need to be conspicuous. It’s a rugged mobile box that uses stainless steel parts in its build. There’s tons of space for other gear as well as a drone setup. That’s great news if you carry a full Mavic Air kit plus extras. The Pelican 1510 also has strong protection. It’s crushproof, waterproof, and dustproof once the locks are in place. It’s also the FAA maximum carry on size which is good news if you travel. 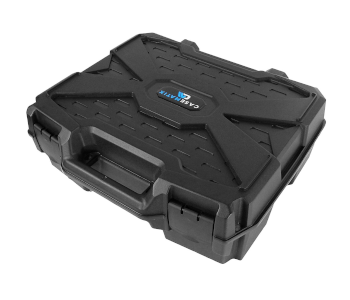 The polyurethane wheels and retractable handle make light work of moving the case over longer distances. The wheels are less obliging over bumpier surfaces, though. That’s where the carry handles become useful. And the automatic pressure equalization valve does a great job of sealing the case. Don’t buy the 1510 Carry Case if you want to travel light. It’s big and bulky and not the easiest thing to lug around if you’re in a rush. It’s an excellent choice if you want the ultimate protection and space to play with. The other downside is that some find the optional lid organizer a challenge to manage. 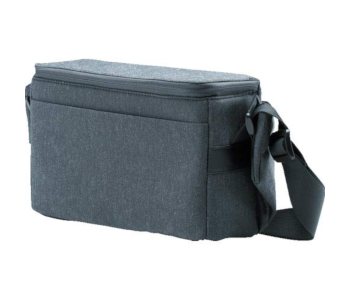 The Chartsea carry case is a portable shoulder bag design specifically for the DJI Mavic Air. It’s a lightweight, easily portable bag that’s quick to pack and comfortable to wear. The Chartsea carry case is a practical and affordable choice. It’s for anyone who wants something to transport and protect only their Mavic Air and its essential parts. It’s a nice-looking product too, and that’s always a bonus. There’s a wide handle along the top and a comfortable shoulder strap for handsfree carrying. The inner shell is an elastic EVA with custom cutouts for the drone and accessories. The Chartsea has spaces for three batteries which includes the one in the drone. The other cutouts are for the remote controller (RC), charger, charging hub, and cables, etc. This bag is not the right choice if you need more than it holds. Its interior is inflexible and only has space for the said items. There aren’t any reinforcements or added proofing either. This is an excellent carrying case for anyone who wants to travel light. The PolarPro Minimalist is a custom case specifically designed for a DJI Mavic Air drone kit. The Mavic Air Fly More Combo comes with a bag, but it’s a tad big and floppy. The PolarPro Minimalist case is neither of those things, yet it holds a full kit and fits easily in a backpack. Its smooth molded outer shell means it slides out of a knapsack or other bag as fast as it goes in. There are no awkward straps or buckles to hinder its movements. Packing and unpacking the Mavic Air kit is also a cinch. It doesn’t look like this bag is big enough to hold everything from the outside—but it is. You can fit the Mavic Air drone, three batteries, charger, hub, and the remote controller (RC). There are two straps inside the case to hold it all down, but it’s a firm fit without them. There’s no rummaging around looking for stuff either. The kit packs tight and is instantly accessible the moment you lift the lid. PolarPro’s Minimalist Case for the DJI Mavic Air is water-resistant but not waterproof. I guess most pilots would be willing to pay a little extra for full waterproofing. Remember too; this is a minimalist carry case. That means it only has space for the Mavic Air kit mentioned above and nothing else. The customizable dividers let you change its configuration, but there’s still limited space. This CASEMATIX XL carry case is a favorite choice for the Mavic Air Fly More Combo. Its rugged design provides high protection against impacts like drops and hard knocks (see review). CASEMATIX’s XL is an ideal traveling case. Outdoor adventurers go places most others don’t. They also expose themselves to harsher environmental risks. That’s where this rugged case comes in handy. The makers use hard-wearing composite injection plastic for the build that borders on indestructible. The built-in carry handle is also convenient. It’s also free from the damages that attached type handles are prone to. There are two padlock holes under the handle for added security. The inside of the case is customizable with a tri-layer arrangement that uses an egg-crate top. The middle section has a diced pick and pluck structure, and there’s a thick foam layer at the bottom. This case easily accommodates the MAVIC Air Fly More Bundle. That includes the drone, 5 flight batteries, and a battery charger. There’s also room for the charging hub, remote controller (RC), propellers, and other accessories. It’s easy to carry this case that’s not overly large. However, it’s still rigid and too big to fit into a backpack. The only way to carry it is by the built-in handle. It’s not travel-friendly if you need something smaller and less conspicuous. This case isn’t waterproof either. There is a bigger alternative that is waterproof called the CASEMATIX 13″ Rugged Waterproof. This is the Smatree DA600, another purpose-made hard-shell travel case. It houses the Mavic Air Fly More Combo and arrives with custom cut-out foam compartments. Not all hard cases for drones and accessories are waterproof, but this one is. The case has an automatic pressure equalization valve. It works by releasing air pressure to form a tight seal that keeps water out. Smatree’s DA600 is also rugged. It boasts an ABS plastic exterior shell that’s anti-scratch and anti-crash resistant. And the interior EVA foam does a great job at protecting the contents. There isn’t much room for customization as they designed the case specifically for the Mavic Air. That means the foam is already custom cut to accommodate the parts. 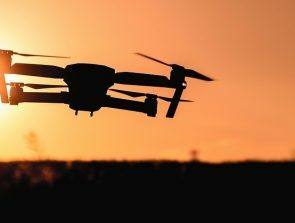 These include the Mavic Air drone, remote controller (RC), and 3 DJI Intelligent Flight Batteries. There are also foam cut-outs for the battery adapter, charger, prop guards, props, and a few other bits. It’s a purpose-made case for the Mavic Air and its accessories. There isn’t room to fit parts other than those specified without creating a new inside. It’s a brilliant choice if it offers what you want, though. Consider something else if you need more flexibility or room to grow. 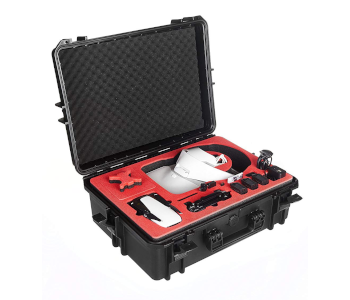 There aren’t so many drone cases around that have a dedicated space for DJI Goggles. This one is a perfect fit for Mavic Air pilots who don’t like to carry separate luggage. MC-CASES bring us the Professional Carry Case for DJI MAVIC AIR & Goggles. It’s a German-made product which tells us plenty about quality. The company builds this case using water-jet precision cuts and high-precision milling. The interior uses closed cell foam that provides the ultimate protection for its contents. And the custom cut-outs ensure each part sits securely in its place during transit. The lid has a watertight seal around it, and there’s an automatic pressure release valve. The comfortable soft-grip handle has two holes either side for double padlocking. Pilots can choose to carry the case of wear it using the shoulder strap for handsfree carrying. 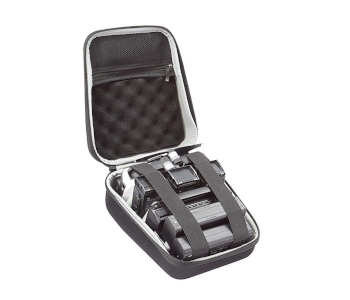 It’s a smashing pro-level DJI + Goggles carry case, but it’s not cheap. 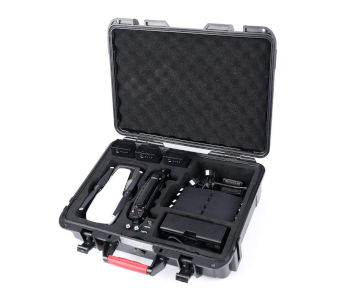 The case has the necessary space for a comprehensive DJI Air FPV kit. It can house the DJI Mavic Air and assembled DJI Goggles. There are also compartments for 4 batteries, charger, remote control (RC), and original cables, etc. The Mavic Air Pro Combo Case by MC-CASES retails at around $150 at the time of writing. It’s a high-quality, long-lasting product that’s easy to organize, but you can only use it for the Mavic Air.